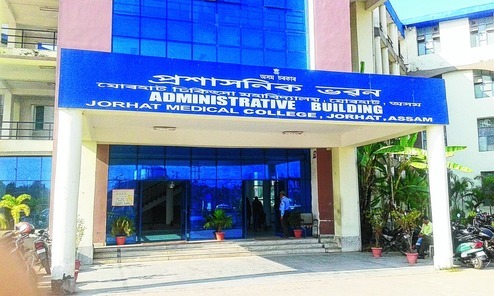 Jorhat police on Monday arrested a student of Jorhat Medical College and Hospital (JMCH) for allegedly obtaining admission to the medical college by producing fake caste certificates. 23-year-old Chinmoy Kakati, who hails from Sualkuchi of Kamrup district, is a sixth semester student of JMCH. Police said Chinmoy allegedly submitted forged cast certificate to get admission in the college under SC quota. Police official said a case was registered after Jorhat district unit of the All Assam Scheduled Caste Students’ Union lodged an FIR against the student alleging that he had forged documents to obtain seat under SC quota.